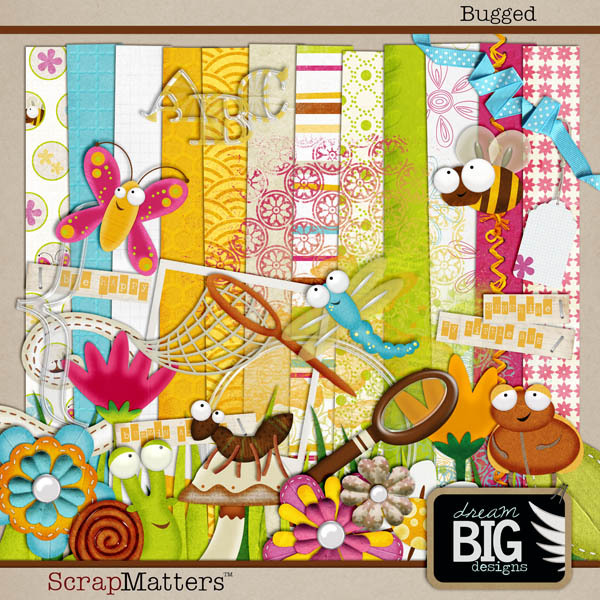 Dream Big Design has made it through to round four of the Design Star 2011 contest over at ScrapMatters. She has made a wonderful and cute kit with bugs! Perfcet when you have kids who loves to inspect all bugs they come across.